This book is a critique of Buddhism by a philosopher with about 20 years’ experience of practising Buddhism. 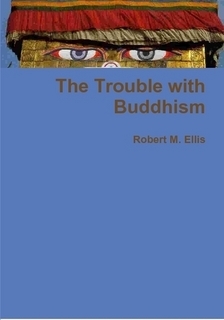 It attempts to judge Buddhism by the standards of its own key insight of the Middle Way. This book argues that Buddhism has often abandoned the Middle Way and allowed dogmatic metaphysical assumptions to take its place. The Buddha criticised appeals to metaphysics, yet many of the trappings of traditional Buddhism are built on it – whether these are karma and rebirth, the revelations of the enlightened and their scriptures, dependent origination, the interpretation of the Four Noble “Truths”, alienated idealisations of love, or rituals that celebrate metaphysics rather than insight. This is not a purely negative book, but an attempt at a balanced appraisal of Buddhism with praise as well as criticism. In the West we have an opportunity to evaluate Buddhism anew and reform it so that it best applies its own insights. Note: this book is more than ten years old, and is directed at a popular rather than academic audience, with few references. While some readers may prefer its more direct style, others may do better to read the more recent, thorough and balanced The Buddha’s Middle Way instead.